I have never found another product like this, that combines magnesium with D and K which are both important for magnesium to assimilate in the body. The other vitamins are an added bonus. I put it in my large water bottle with some lemon and sip it during the day for some flavoured water and an all-day mineral boost. 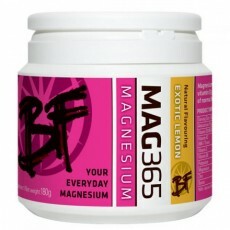 selling it in my shop and its brilliant for women with the added benefits of Zinc, K2, D3 and more. I get repeat business which means, customers loves it. I really like this product. It tastes great too. I told my nieces and nephews it was lemonade one day on an outing and they were fighting over my bottle until it was gone. At least they got a good energy boost for our day out, even if I didn't! I am feeling the benefit of it already. I have ulcerative colitis and it has definately helped with symptoms. Copyright © 2019 MAG365 Magnesium Supplements for Magnesium Deficiency | Plus Calcium. All Rights Reserved. Interested in a trade account? Click here!